Beautiful Chester County setting to build your dream home in the heart of "Radnor Hunt" country. The property is bordered by Ridley Creek and adjacent Ashbridge Preserve to the East. Magnificent estate properties join the property to the West. Your privacy and beauty of the surrounding countryside is preserved by Conservancy Agreements that protect this and surrounding properties from further development. The building site offers unobstructed sunrise and sunset views. The beauty of the setting has been captured in building plans prepared by Peter Zimmerman and complimentary landscape design by Carter van Dyke. These plans are available for inspection or bring your unique vision and designs to the property. Great opportunity to enjoy the "country lifestyle" with conveniences of big city amenities and the finest schools nearby. 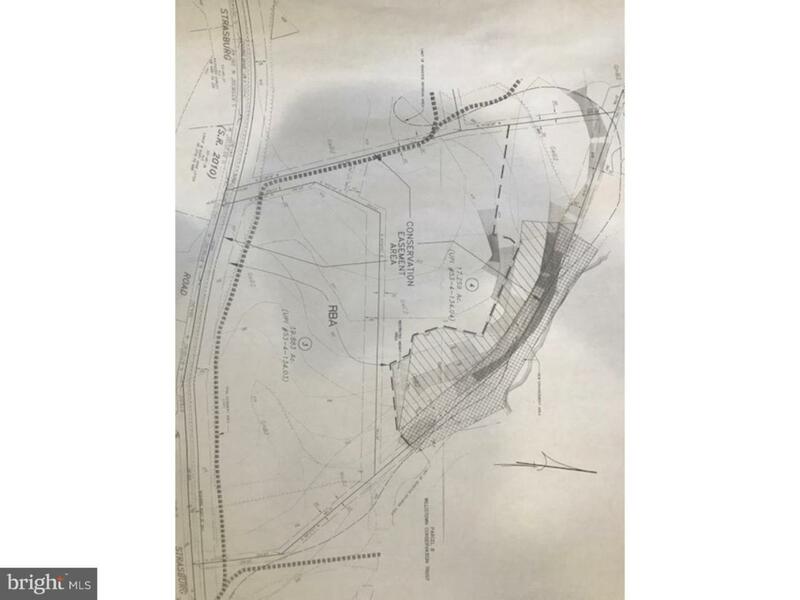 The property is comprised of two parcels (17.25 acres) and (19.80 acres). Listing courtesy of Long & Foster - Wayne/Devon/Herling.